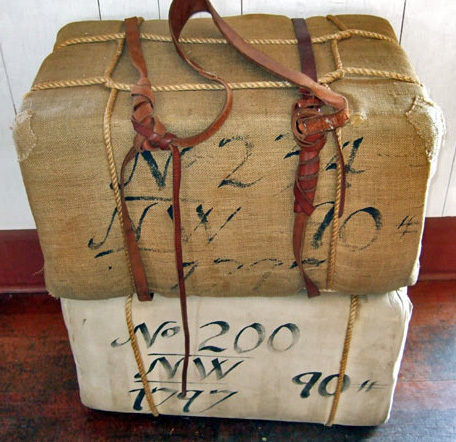 I thought about writing a story about the Great Lakes’ fur trade era for a long time. Lake Superior is beautiful, and the region’s history is fascinating. 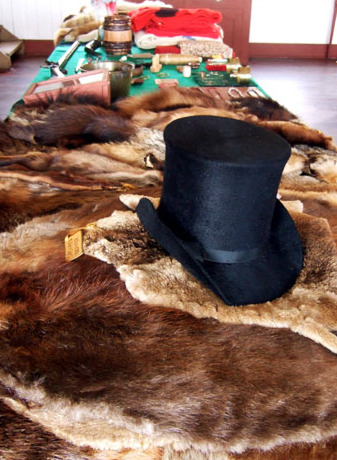 From 1650 to 1850, the fur trade was the most important “business” in the area that now includes Wisconsin. That’s longer than Wisconsin has been a state! 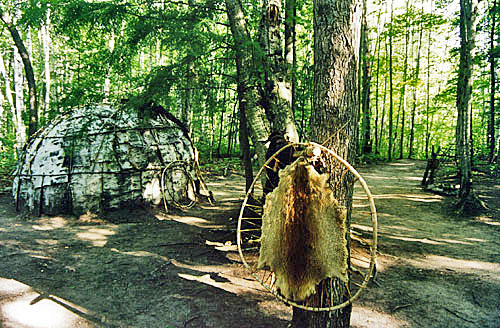 I do not have Native American ancestry, so I considered very carefully before deciding to write a story that involved Anishinabe people (or, as the French fur traders were more likely to call them, Ojibwe people). During this period I was working for public television, helping create and script instructional video programs such as New Dawn of Tradition: A Wisconsin Powwow. I learned a lot about Native American history, culture, and tribal sovereignty by studying, visiting tribal educators on many of Wisconsin’s reservations, and attending an American Indian Studies Summer Institute sponsored by the Menominee Culture Institute and the Department of Public Instruction. 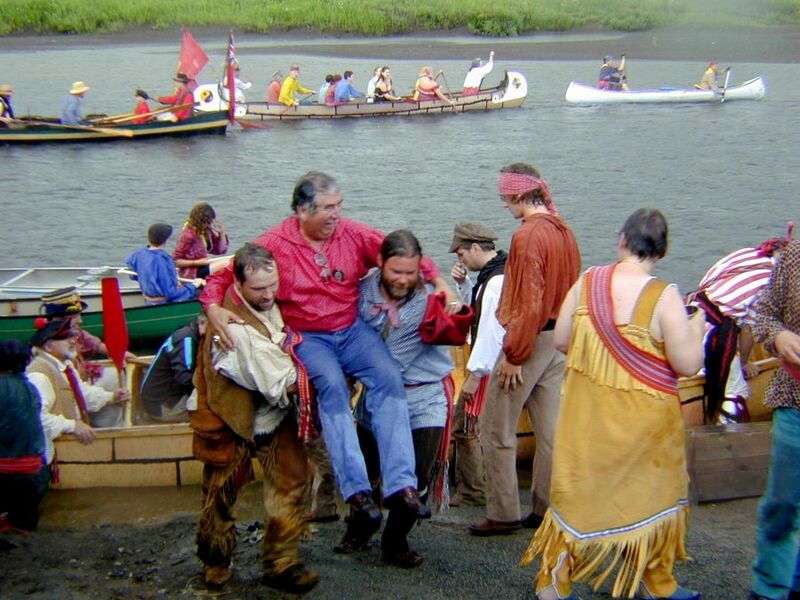 I decided to write a story that focused on the meeting of two very different cultural groups, the Anishinabe and the French. My main character, Suzette, would be a blend of those two cultures. The story takes on what is today known as Madeline Island, in Lake Superior, in northern Wisconsin. I discussed my story idea with some of the Anishinabe educators I’d met. And when American Girl invited me to submit an idea for their brand-new line of History Mysteries, I knew just what time, place, and theme to suggest! Then I got busy. Next stop: Madeline Island. The area where Fort La Pointe stood has changed a great deal over the years, but spending time on the island helped me imagine what the landscape might have been like in the 1730s. 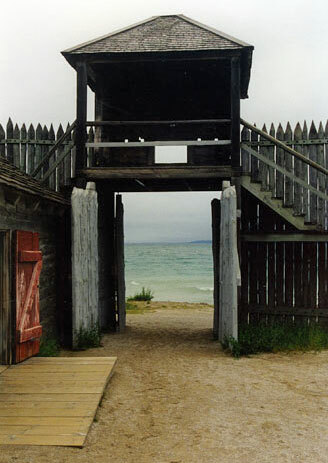 I’ve also been lucky enough to visit a number of other historic sites that help bring the fur trade era to life in my imagination: Fort William Historical Park in Thunder Bay, Ontario; Grand Portage National Monument, Grand Portage, Minnesota; Colonial Michilimackinac, Mackinaw City, MI; Waswagoning, Lac du Flambeau, WI. I hope the photographs below help you imagine Suzette’s world, too. 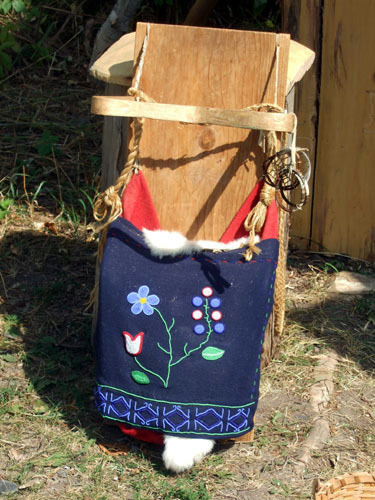 At Waswagoning, a recreated village on the Lac du Flambeau Indian Reservation, I learned about traditional Anishinabe life. 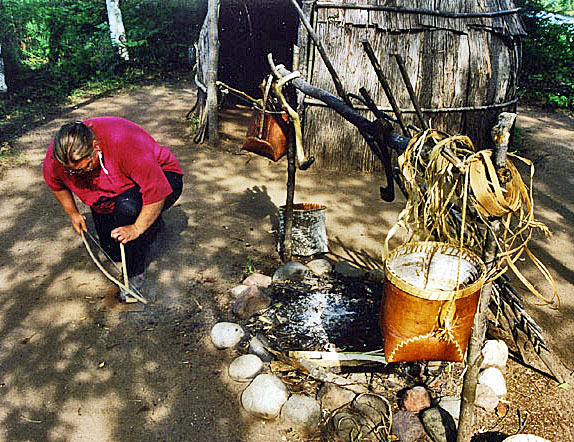 This guide showed me how Suzette would have started a fire and cooked a meal. 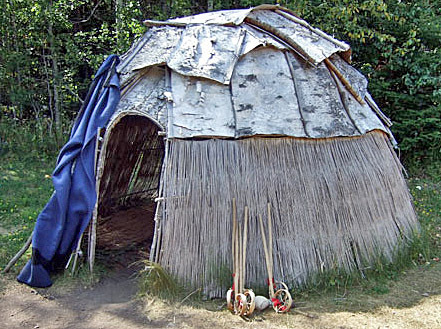 Suzette might have slept in a lodge like this. Before being packed into bales, ready for transport. 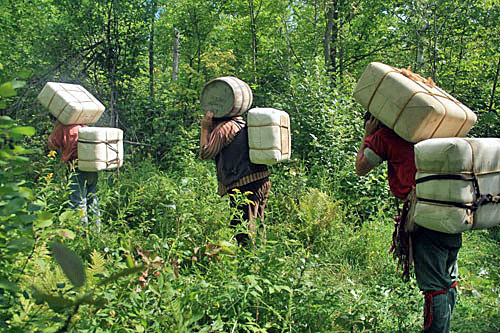 Voyageurs, like Suzette’s Papa, had to be very strong to lift the heavy bales. They took the bales to cities faraway markets. Furs from the Great Lakes region were made into warm, waterproof garments—such as a hat like this one. Trade goods included kettles, knives, beads, and blankets. Clerks and officers ran the trading posts and lived indoors. This hall is at Grand Portage National Monument. 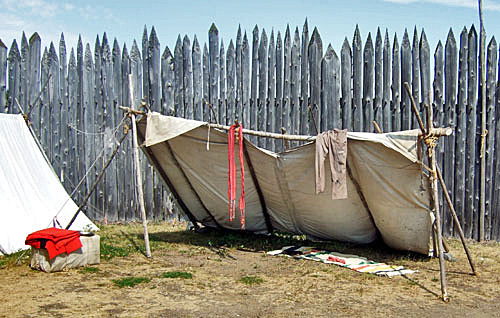 Meanwhile, the voyageurs lived with their families for the short summer, or in makeshift shelters like this. 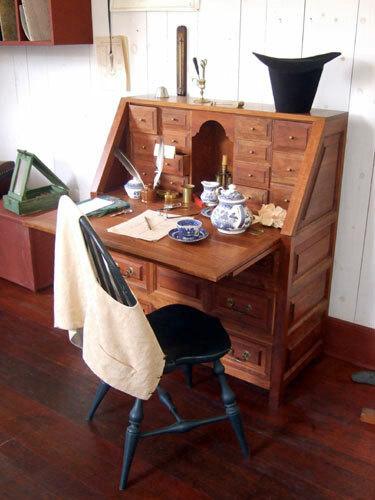 A clerk, such as Suzette’s friend in Trouble at Fort La Pointe, might have used a desk like this one. 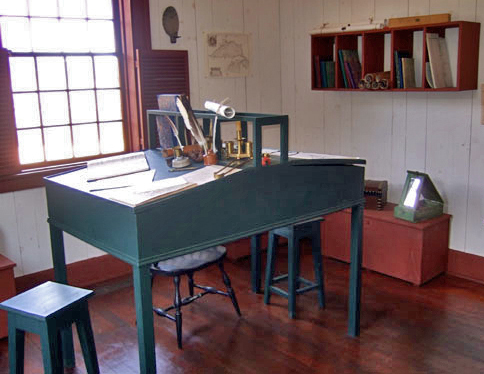 Wealthy post owners might have used something fancier, like this desk at Grand Portage National Monument. 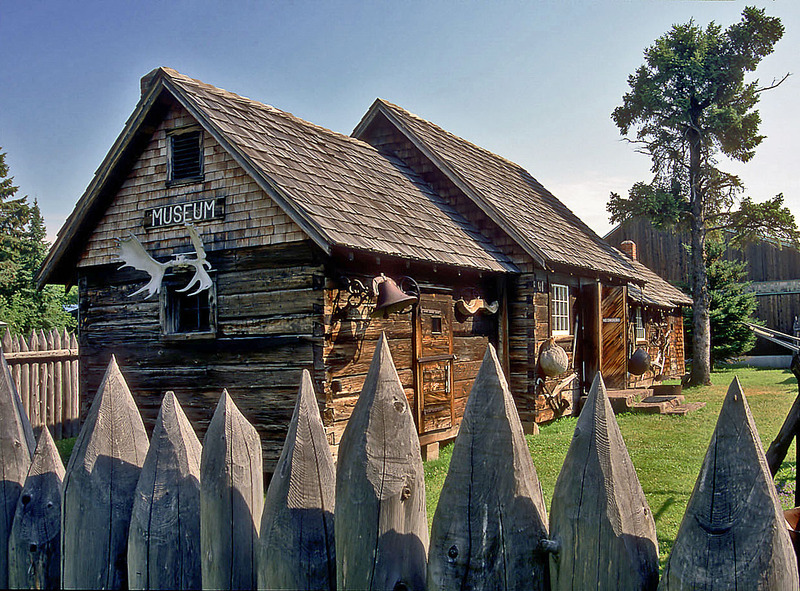 If you have the chance to visit northern Wisconsin, or anywhere around the Great Lakes, I hope you’ll find time to visit one of these great historic sites. 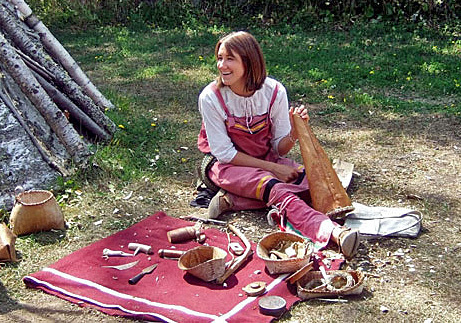 If you use your imagination at places like Fort Michilimackinac, you’ll soon be hearing the echos of the voyageurs’ songs rippling over the waters. 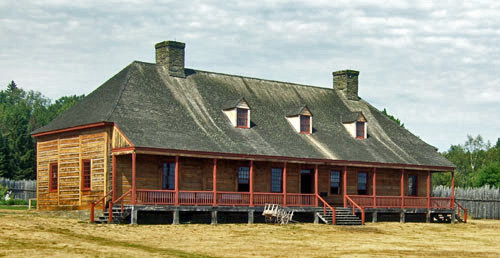 PS: Since Trouble at Fort La Pointe was published, several people have asked why I chose to write about the fur trade era–don’t I like animals? I do, very much! (In fact, I’ve been a vegetarian for 40 years.) 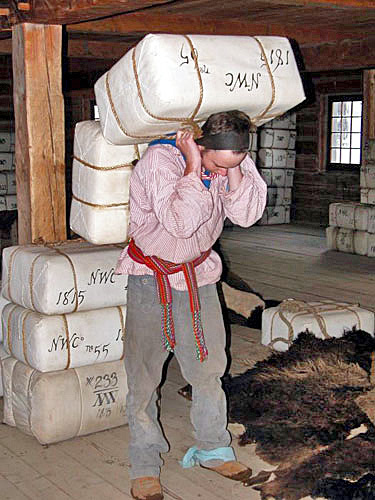 But the fur trade era was an important chapter in our history, and ignoring it would be a disservice to all the children, women, and men involved. At the heart of this book is a story about a family facing challenges, and the fur trade is merely the backdrop. 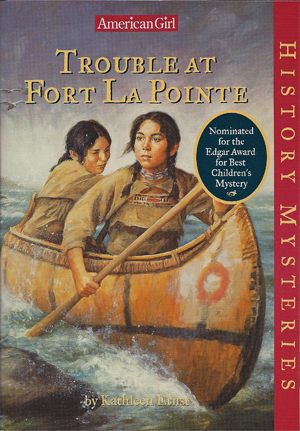 Trouble at Fort La Pointe was my first mystery, so I was thrilled when it was nominated for the Edgar Award for Best Children’s Mystery by Mystery Writers of America. I traveled to New York city for the festivities and the awards banquet. 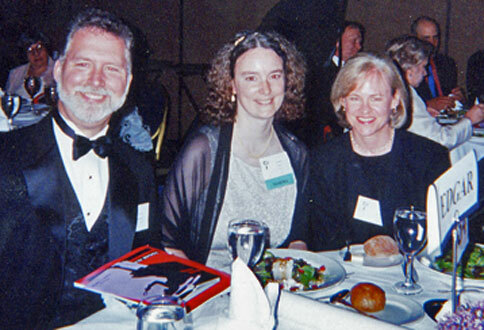 My book didn’t win, but it was still very exciting to be there! That’s my husband Scott Meeker on the left, and my AG editor Peg Ross on the right.